“Look what I just found!” should be a new section heading for the website … I’ve been receiving a few of these recently – and some of them are real ‘finds’. 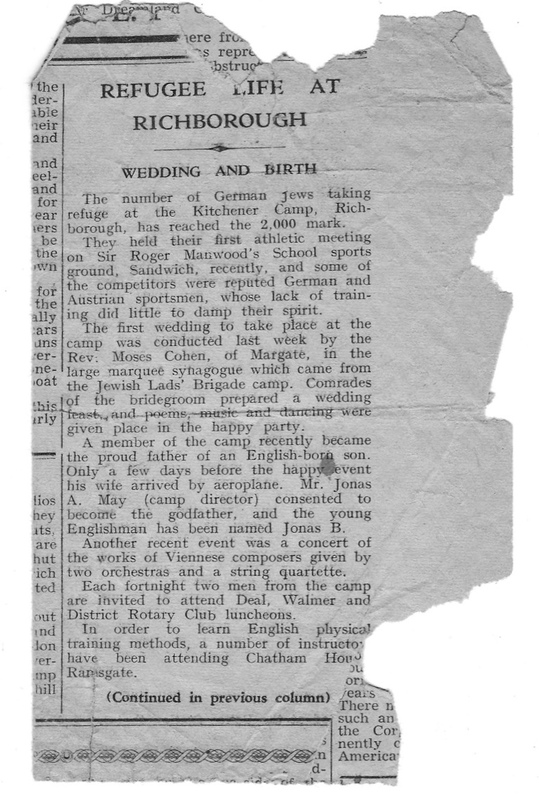 This one in particular is a good example of how the most unlikely scraps of paper left by our fathers and grandfathers, uncles and cousins, can sometimes reveal or substantiate another part of our Kitchener history. Please don’t ever assume the ‘scraps’ are too trivial – all scraps welcomed! "Clare, I just happened to be going through some old books of family photos and came across a piece of newspaper. No clue what the newspaper is or the date. The other side has an article about an amusement stall worker who was arrested for stealing cigarettes and concealing them in his socks. By the way, the paper was quite brown, so this is fixed up a bit. It is worth noting that the gentleman who sent this in is none other than the “English-born son” mentioned in the article below. Me, I quite fancy reading the other side too … I call that a pretty enterprising use of socks!